In addition to the full line of industry-leading Raynor products, Deluxe Doors also offers expert sales and service of entry door systems, storm doors, hollow metal entry doors, mini storage doors, and commercial dock seals, shelters and levelers. Precision Entry Doors are available in smooth steel, stainable steel and fiberglass with a wide variety of clear and decorative glass styles. All types of units are available including front doors, side and back doors, patio doors, sidelites and transoms. 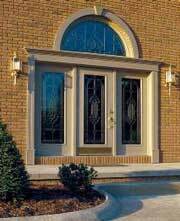 Sugarcreek Industries carries four distinct models of storm doors to fit almost any need. From the distinct styles of Sugercreek's Decorator Series to the safety of the DuraGuard line, you're sure to find the perfect storm door for your home. 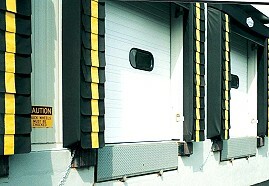 Since 1981, Trac-Rite Door, Inc. has been manufacturing high quality, low maintenance roll-up doors appropriate for a variety of applications. You can expect your Trac-Rite door to be constructed of strong, durable materials accompanied by smooth, quiet operation.